The four most powerful and respected members of the tribe, the Chief, Shaman, Hunter and Maiden, have come together, each seeking the favor of the Great Spirit. To win that favor, the four must each perform a ritual dance, with the best dance earning the desired favor. 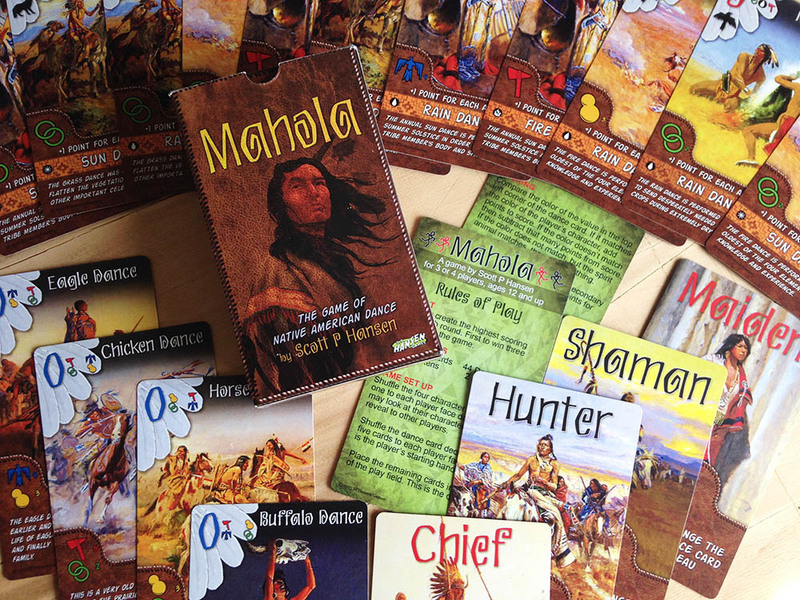 Mahola, the latest card game from designer Scott P Hansen, is a lively and engaging card game for 3 to 4 players themed around the beautiful dances of the Native American culture. 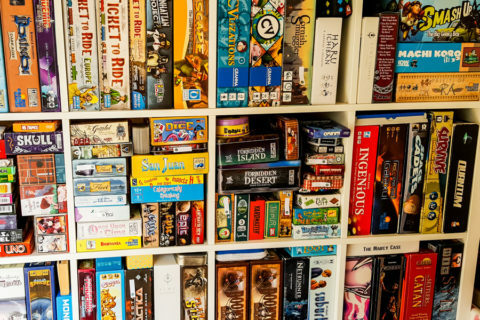 The game consists of 44 dance cards, 4 character cards and 2 rules cards. Dance cards are made up of Fire, Grass, Rain, and Sun dances. Each dance has a value, color and spirit animal associated with it, as well as secondary dances and adjacent bonus. There are also 4 special dances, Buffalo, Eagle, Chicken and Horse. The special dances have a zero value and no spirit animal associated with them. The characters each have a color and spirit animal associated with them, as well as a special ability that is applied at the end of each round. Each player is first randomly dealt face down one of the four character cards. The character is kept hidden from the other players for the duration of the round. 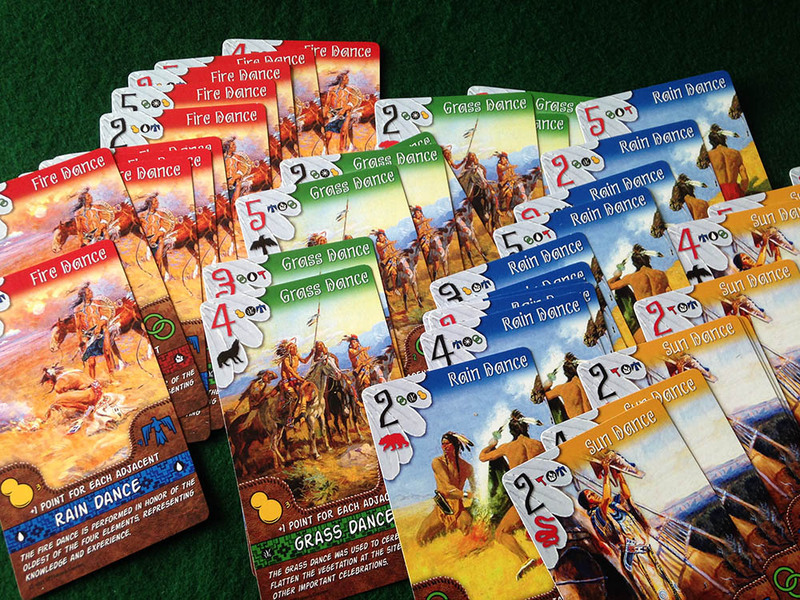 Then each player is dealt face down 5 dance cards; this is the player’s starting hand. The remaining cards are placed in the center as the draw deck. 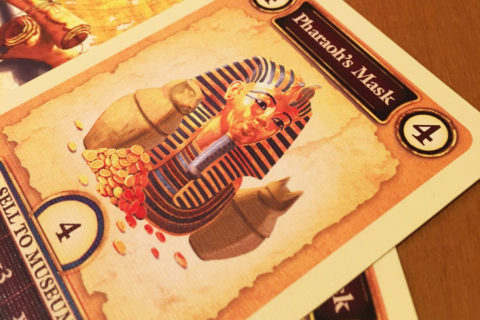 Players choose one card from their hand to play to their tableau and place it face down in front of them. Then each will choose one card to pass left and one card to pass right and place it on the table facing the receiving player. When all players are ready, the tableau card is revealed and the passed cards are exchanged. 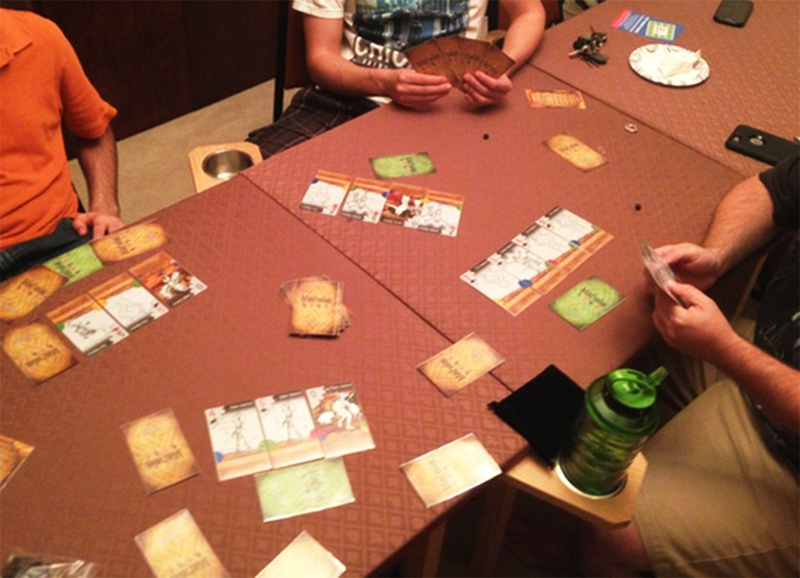 Each player then draws a card from the deck to bring their hand up to 5 cards. This is repeated until players have 5 cards in their dance tableau, ending the round. Players reveal their characters, apply the character’s special ability and score their dance. Highest score wins the round and a favor token. First player to win 3 favor tokens wins the game. The idea for Mahola came to me after seeing a Native American Hoop Dancer performing. The skill and grace with which he exhibited had me enthralled every second. Out of curiosity, I explored more dances and the history behind them. 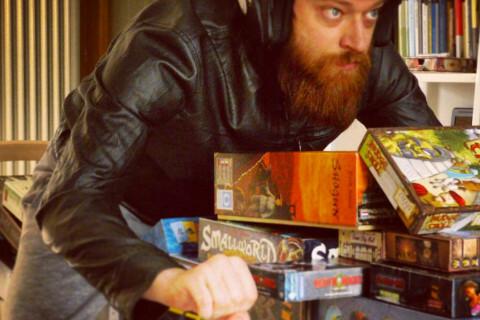 The more I learned, the more I wanted to express my fascination with them in the best way I knew by creating a game. The experience of designing Mahola has taken me on a journey of discovery that has deepened my respect for the Native American culture. I hope that players will take the time to research and learn more about the dances and the people who keep the tradition alive today. Mahola is now on Kickstarter.